This is the main two characters from my final picture. 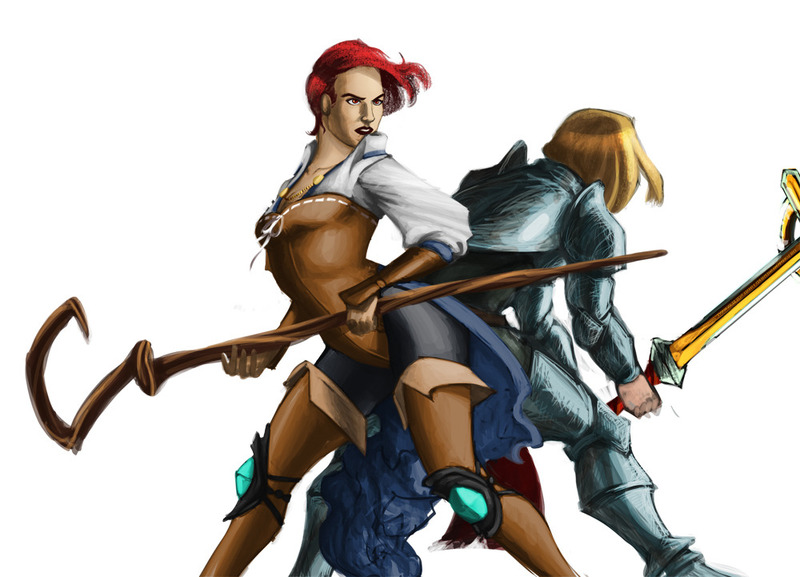 Demigod female and human knight, back to back, facing the gods (which will be in the final picture shortly). I'm tempted to make a ZBrush project out of the demigod female!